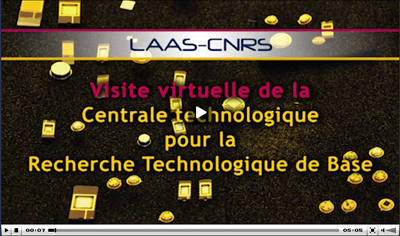 The micro and nano technologies platform of LAAS-CNRS offers environmental contamination areas with controlled particulate concentration, controlled temperature, humidity, and light for certain operations, sensitive to the ultraviolet radiation in a 1500 m² room with 100 to 10 000 classes. The equipment allows developing, elaboration, patterning and treatment of materials for microelectronic, optoelectronic, micro and nano systems components prototyping. The management and development of infrastructure, equipment and processes; support for research projects are provided by the TEAM service. The means are distributed in technical areas, each under the authority of a manager assisted by experts. Their skills are referents on techniques and methods developed.